On Saturday, July 19 2014, we held a workshop on localization titled Ngabuburit Bareng Mozilla (Waiting for Iftar with Mozilla): Localization Workshop Bandung. 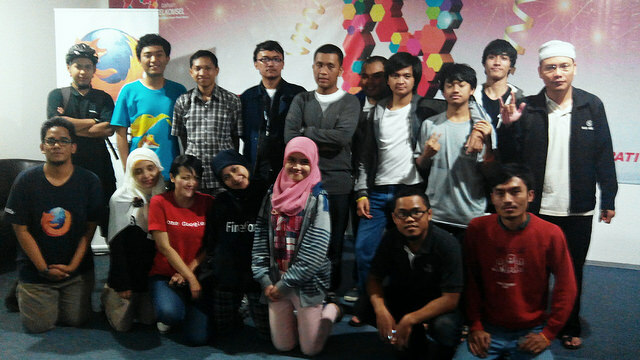 This event was organized by me as a Mozilla Reps with major help from Fadhil, also a Mozilla Reps from Bandung. There were 18 participants joining this event. Special thanks to Telkomsel for allowing us to use their meeting room in Telkomsel graPARI Jalan Banda, Bandung, for this event. It’s a comfortable room with a dependable internet connection. The event started with a spectrogram discussion session with “technology and language” as the topic. From several statements that was came up, we all agree that language plays a big role in technology and the web. It’s an important aspect that should be supported and handled carefully. 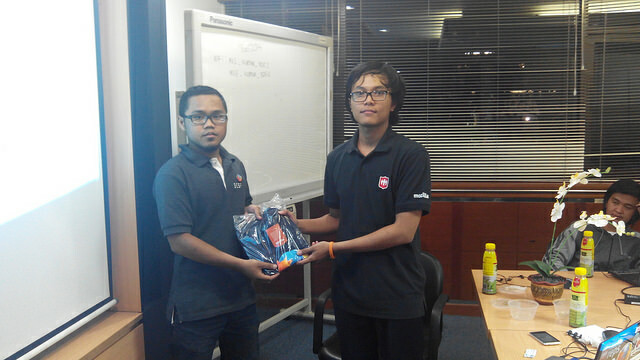 We gave a Firefox t-shirt to one of the participants who contributed the most to the discussion. And then we moved to presentation sessions. I introduced Mozilla’s mission, projects, and community, then Fadhil talked about localization in Mozilla. 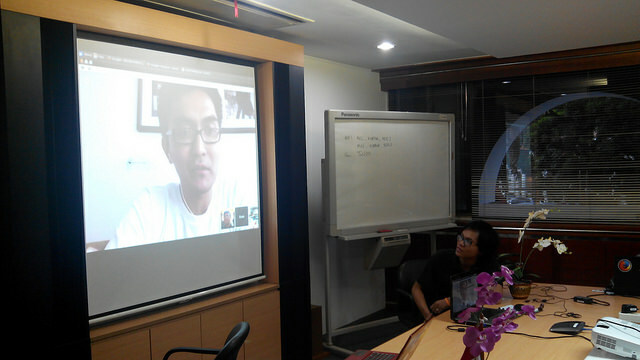 We also held a video conference with Romi Hardiyanto as Indonesia L10n lead. He gave some general tips and insights on localizing Mozilla projects to the participants. After the participants got the idea on what we were going to do, I demoed and explained how to use the tool that we’re going to use for that event, which was mozilla.locamotion.org. Then for about an hour, all of the participants (excluding the ones who didn’t bring laptop) localized some strings for Firefox 32 Aurora to Bahasa Indonesia and Sundanese. Because of how the Mozilla Locamotion server work, we should wait until Friday to get the update on the number of strings that these new users has suggested. When the numbers show up, we will find out 2 person who suggested most strings among the workshop participants and we will send them Firefox t-shirts! The localization sprint ended at the same time with iftar. We broke our fast for that day together and enjoyed some meals. Afterward, we held a video conference again, but this time with Fauzan. 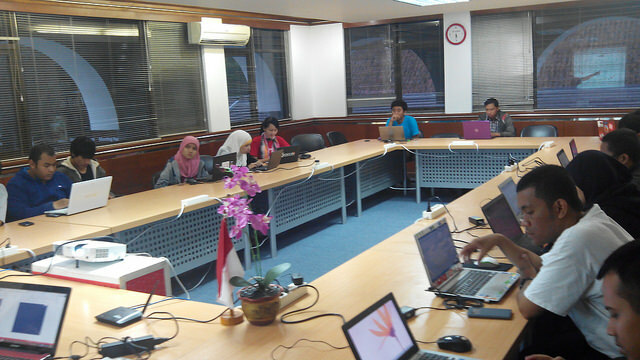 He invited participants to #MozNyunda, an initiative to accelerate Sundanese L10n of Firefox. All of the participants seemed to be enthusiastic with the whole l10n efforts and we all hope that they will continue their contribution to Mozilla by localizing it’s projects. More photos available here: https://www.flickr.com/photos/89627096@N08/sets/72157645446624467 , thanks to Fadhil. This entry was posted in ReMo Notes. Bookmark the permalink.